The amount of damage paying interest to a bank can do to any solid financial plan is devastating. I sit with folks everyday that have way to much debt already, and for some reason are considering more. The best advice I can give you is to PAY CASH FOR EVERYTHING. Period. Below is a little bit of tough love, and additional details for your to reflect on. Though exceptions like a house and an education exist, it is nearly always best to save up the appropriate amount of cash to make a purchase versus using a loan. This may seem like common sense or even laughably simple to some of you, but I have a feeling someone out there needs to hear this. In the rare borrowing exceptions like buying a home, be conservative with your mortgage. Put a minimum of 20% down and borrow no more than 2 times your annual income with a 15 year fixed rate mortgage (30 if you must). Aim for payments to be no more than 1/4 of your take home pay. Buying a bigger home isn't an investment, its a lifestyle choice and a very expensive one at that. As soon as possible, set up an automatic additional "principal only" payment through your mortgage company, and watch your net worth explode and your remaining balance disappear. Having a paid off home is a wonderful feeling, not to mention the deep sleep you'll begin to feel once you own your home "free and clear!" Pay cash. *Optional-stick your last mortgage bill to the fridge with a big PAID stamp on it. Pay for improvements with cash and find a way to look the other way when you see shiny new toys. One of the biggest reasons we experienced the credit crunch and global financial meltdown was because people looked at their homes as ATM machines and pulled out all of the equity to do projects or buy new things. Fight the urge. Pay cash. Urge your kids to pick an "in-state" school or a less expensive school known for the program or subject they are interested in. The name brand is not nearly as important as what they learn while at school. Hopefully you funded a 529 plan while they were growing up. Pay cash. Get a reliable 2-4 year old car with high gas mileage and solid consumer reviews. Look up the suggested retail on Kelly Blue Book and try to find a gem on either Autotrader, Craigslist, or the like. Taking a look at some local dealerships with attractive warrantees is a great place to start as well. See my in-depth guide to car buying here. Pay cash. Avoid revolving debt or monthly payments like the plague. Consumer debt is no good, and if you are wondering if you should take out a loan to buy something I already have the answer for you and it's easy. It's no. 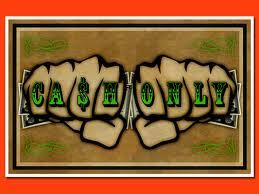 Pay cash, live within your means and get back in the game!